Privacy. All parents question if this phenomenon truly exist. Particularly when it comes to the washroom. What is up with the bathroom? Why is it that that one place seems to be the bane of all parents existence? I have not spoken with ANY parent who does not have at least a small problem with privacy when it comes to using the rest room. Here is a little story for you all to enjoy. When we moved in here a year ago, we found out very quickly that there was something wrong with our downstairs bathroom. The door. Oh it would shut. But it would not SHUT. Catch my drift? Something had gone awry during the installation of this wonderful door to the loo. 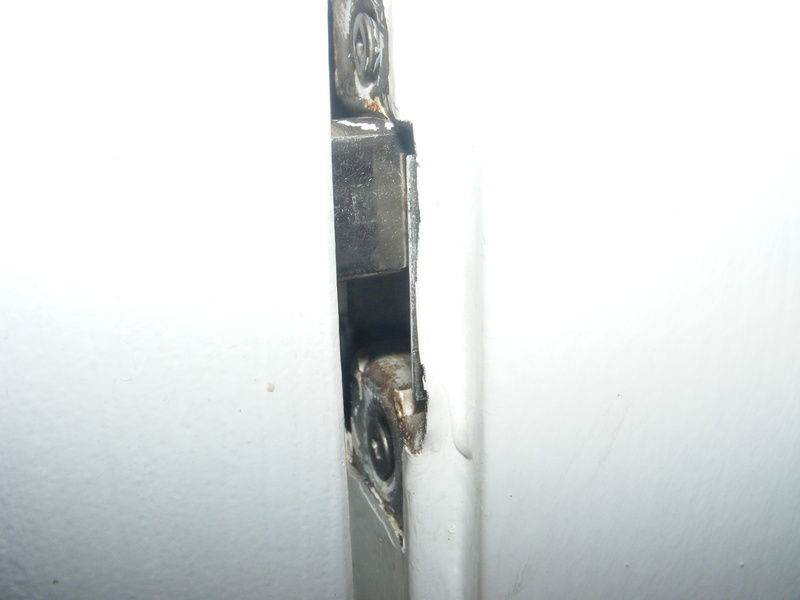 The dead latch and the mortice hole did not line up. 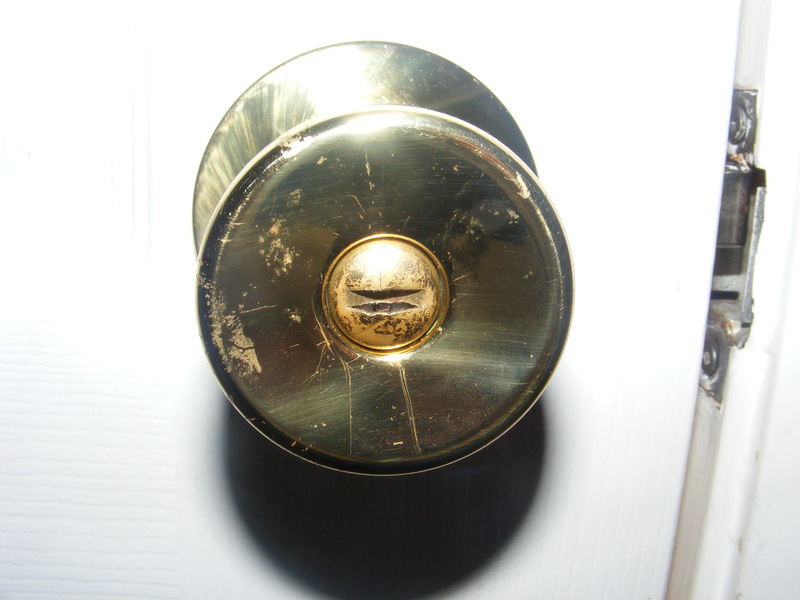 Therefore the door would shut, in the way that I could pull the handle towards me and the door would come with it, closing myself off from the rest of the house, but it would not CLICK shut. The result was that ANYONE, including the 2 footers, could simply just pull the door open. So we simply grew use to it. It was known in our house to announce your journey to the bathroom so that others would know to stay out. Of course clearly this would do no good when it came to the children. It became a game really. Belly would find it funny to simply run up and open the door and run away. Forcing me to maneuver in a way that allowed me to get up and reach for the door to quickly shut it without *ehm* making a mess. Mae Mae really just enjoyed joining me in the washroom. I don’t mind actually, she would pretend to sit on the little potty and “go”. I thought it could even be effective once potty training started. If you look closely you see how it just does not quite go in all the way. Chelsie, the oldest, would usually steer clear of barging in, except of course if there was anything of urgent importance to talk about. You know like how Pinky Pie on My Little Pony just won a race, or how it is imperative that I lift her over the baby gate so that she can go get her stuffed kitty for a game… it just can. not. wait. Even the cat mastered the art of using her paw to dig underneath the door until she became able to swing it open enough for her to peek her head in and join me. I tried just “sitting” a certain way so that I may also lean over with one hand on the handle to hold it shut. Although I quickly grew tired of the acrobatics and simply just decided I would stop shutting the door all together. (This of course would be during the day when no one was around but myself and my children), what was the point really? Is this all to much information? Oh well. So you can imagine that it was a blessed miracle to me, to come home one evening in which we hand the grandparents watching our beautiful children, and have grandpa tell us that he “fixed” the door. It would now shut and stay shut, and we could now even LOCK IT! EEEEEEEEEEKK! The excitement was unbearable. How he did it, you might ask. 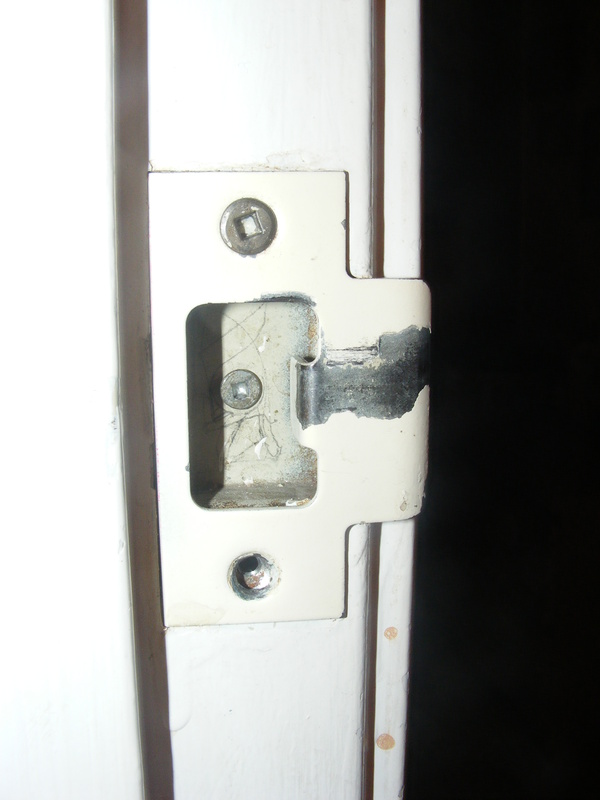 Oh he just took the strike plate off, leaving just enough room for the dead latch to fully go in. Huh… and all along…. well don’t we feel du…. ah well. LOOK LOOK SEE IT WORKS!!!! Overjoyed I set on my journey to the washroom, feeling confident and excited at the new possibility of this thing call privacy. The children couldn’t get in! The cat couldn’t open the door! There were wails and tears and utter terror. “MOOMMAAYYYY OOPPEENN THE DOOR!!! !” yelled between hysterical blubbering. 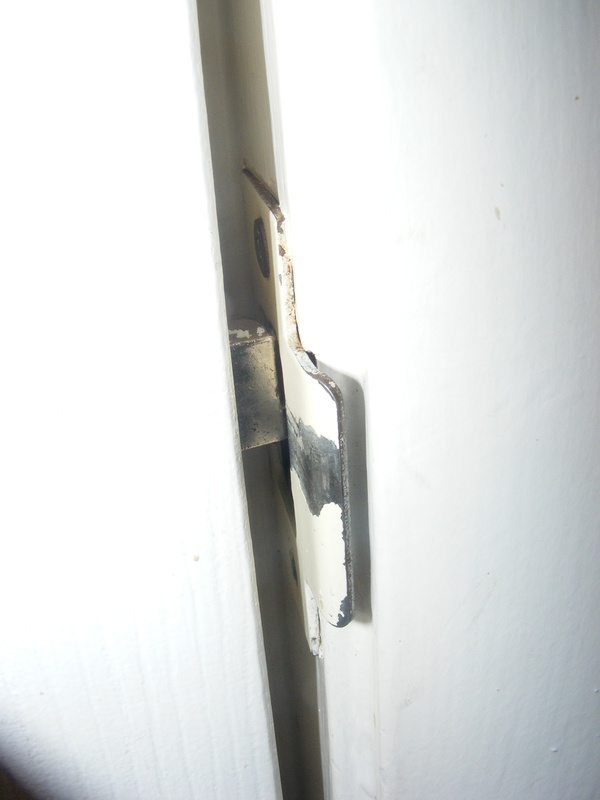 The cat scratched continuously at the bottom of the door. Drama ensues on the other side as a small child threw her body at the door in an effort to break it down. Fortunately it is quite simple to unlock the door from the outside. One of those locks that looks like a giant screw, and all you really need is a flat “something” and use it to turn the lock. Daddy, of course goes for the first thing he can find and uses the fatter end of a barrette. All calmed down. The girls slowly got use to this new way of living. Their father and I got, most happily, used to this new found privacy. Soaking up every moment of bathroom time. Never again will I take for granted the ability to lock a bathroom door. One fine day, in all my glory, I made my way to the washroom. Ah, this will be a glorious 2 minute vacation, I thought. 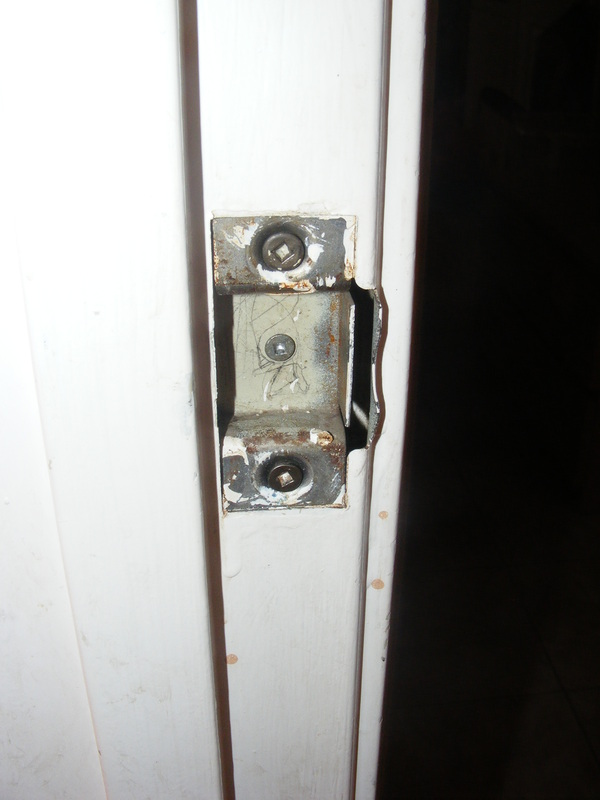 I locked the door, confident and content… and I… ummm…. begin. I heard the sound of tiny foot steps. I laugh inside my head, “you will never get in!” After a few tugs of the handle… silence. Great, she has given up. I continue. Foot steps again… a click… what is happening…. a clack… a turn… and the door opens. Master minds! They have figured it out, one must have been watching their father stealthily from the corner, and now they have learned the secret to unlocking the door… from the outside. And here we are now, again. Privacy? What is that? Just read this to your dad….he couldn’t stop laughing, lololol….. Yes, the elusive potty privacy. I save the locking of the door for the moments when my sanity depends on it. The rest of the time we just go with the whole “party in the potty” thing. I have given up on door locking. I figure they’ll stop coming in when they don’t want to see my wrinkly, droopy bits anymore. hahaha this made me literally lol! Too funny, and hopefully true! I have to say this made me laugh. I have a terrible toddler and my husband and I just grew into the habit of leaving the door open except for #2. So our oldest would join us in the bathroom though it proved beneficial when he started wanting to use the potty at 19 months though we are still working on potty training he gets the concepts and will tell us when he has to go part of the time. The small things we cherish though when we have little one’s screaming for our attention every waking second! It really does make you realize how much we take for granted, even just something as small as locking a bathroom door! 🙂 thanks for reading! Yes you don’t get much privacy in there when Joel is around either! Best parent in the bathroom story EVER!! And I will have to add…oh my babies figuring out how to unlock the door. Brilliant they is. Sorry for the lack of privacy though. Haha! I think I have become use to it now. One day I am sure I will miss the constant baby following! Bathroom privacy…for me it’s a double edged sword. When I do get it I’m constantly worried about what he’s getting into! Yes! I agree with you on that one actually, I love the privacy but would actually prefer they be banging on the door to try and get in… I am in the know on what they are doing that way at least…. 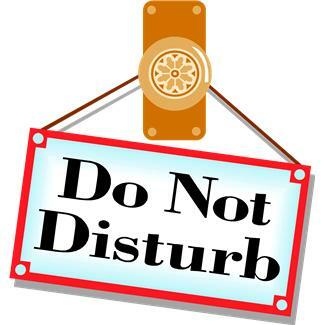 it is when I hear nothing but silence that I start to panic and race to finish so I can go see what they are up to! Great point!